Dr. Jenna Waddy, ND is currently accepting new patients at the Matraea Centre in Duncan, B.C. My name is Jenna Waddy and I am a licensed naturopathic physician serving individuals in the Cowichan Valley area, B.C. Growing up in the Cowichan Valley, I have strong roots to both the community and surrounding landscape. This has provided a deep foundation for my naturopathic practice and allows me to stay grounded in my being so I can best support you on your health journey. 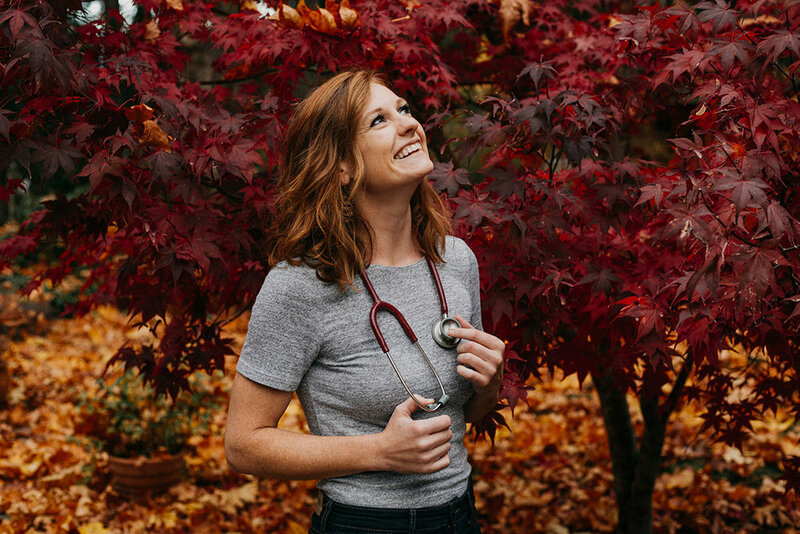 As a naturopathic doctor, I aim to find the root cause of distress in your body and provide appropriate support to bring you back into a state of wellness. Acting as a detective, symptoms provide clues to the body's underlying areas of imbalance. Blending the scientific knowledge of evidence based medicine with the principles of naturopathic medicine and your body's intuitive roadmap, therapies are employed which are specific to your needs. For more information on my story, practice values and certifications, please see my ABOUT page. Naturopathic medicine is unique form of primary healthcare which combines modern, scientific knowledge with traditional medical practices. The roots of naturopathic medicine date back thousands of years, governed on the primary belief that the body has an innate ability to heal. Naturopathy looks to find the underlying cause of disease and bring the body back into a state of wellness using natural therapies to stimulate the body's healing capabilities. In naturopathic medicine, physicians are taught to view a constellation of symptoms as the body's attempt to correct a system that is out of equilibrium. By addressing the root of the situation, the body can correct itself and re-establish homeostasis.